With simple looks, you may be surprised to find out this 2008 classic slot release is one of Microgaming’smost popular titles ever. 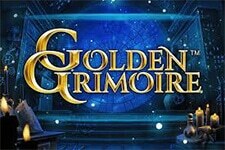 Nearly a decade since it was launched, the game still attracts players in seek of a big win. 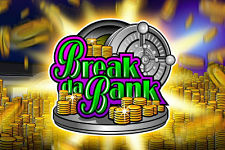 Having inspired numerous sequels and spin-offs, Breaking da Bank is truly worth of its name, since the term itself refers to a rare event in casino gambling, when a player wins more money than the house has on hands. You don’t have to worry about your payouts, since the game’s high volatility promises they’ll be worth of waiting. 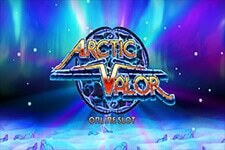 So be prepared to spend hours playing this 3-reel video slot with 5 adjustable paylines and don’t expect to get paid frequently. But when you do, those payouts will definitely be rewarding. Breaking da Bank is a simple game, with very basic look and feel. 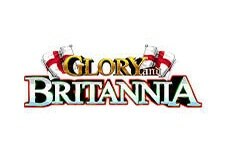 You won’t find any colourful scenery, no intriguing backstory, no sophisticated graphics, let alone a dazzling soundtrack. 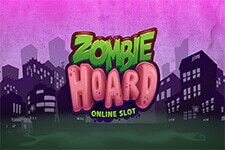 The game is not rich in features, offering no Free Spins, no stacked or expanding Wilds, no gamble feature, basically you won’t find much else to do except to keep hitting the spin button. So, basically, you’ll only need to place your wager and hit the spin button. The rest is up to Lady Luck. The betting starts at $1, with only one active payline, and goes all the way up to $125 per spin, when all five paylines are selected. When it comes to the game’s symbols, you’ll encounter Dollar Signs, Gold Coins, Vaults, the Bar symbol and the Break da Bank logo. 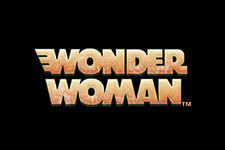 The game logo serves as Wild and substitutes for all other symbols. 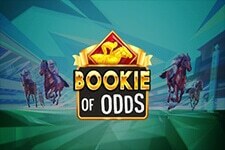 This symbol also serves as a multiplier - land one in a winning combination and your winnings will be doubled; land two and your prize will be quadrupled. 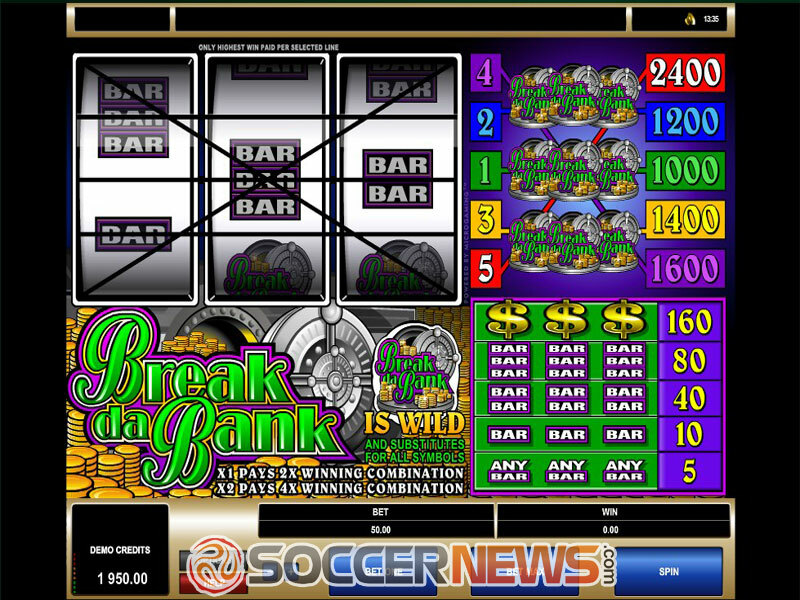 Look for Break da Bank on any of Microgaming’s casinos. Select the number of active lines and place your wager. See if you’ve got what it takes to Break da Bank. "Let’s be honest. If you want a fun game that will captivate you with its graphics and features, than you should probably avoid playing this title. This release is not meant to be funny or entertaining, it was made to bring huge payouts to those skilled and patient enough."